Have you ever forgotten the passcode and locked yourself out of your iPhone ? If you are experiencing such problem and you wish to get into a locked iPhone without the password, then we have something for you. No matter if you haven't enabled the fingerprint ID to unlock your device or you don't remember the passcode, we have got the right answers about if you are able to get into a locked iPhone without the password. Can You Get into a Locked iPhone without the Password? If you have a locked iPhone without the password, don't feel dejected as you can still get into your iPhone! But, it depends on specific factors. If you ever have connected your locked iPhone to your computer and trusted it when the 'Trust this Computer' pops up on your iPhone screen, then there are 'POSITIVE' chances to access the data on your locked iPhone without the password, except some devices that require you to unlock your iPhone when connecting to iTunes. On the other hand, if you wish to get into a locked iPhone without the password using any untrusted computer, the answer is 'No'. Getting into a locked iPhone without the password is tough but not impossible. If you have a trusted computer, break into your device by restoring your iPhone to factory settings via the iTunes. But before that, you need to protect your data as factory reset will wipe out everything from your iPhone. You can use iTunes to backup your iPhone and you can also try a reliable tool iMyFone D-Port for your purpose. 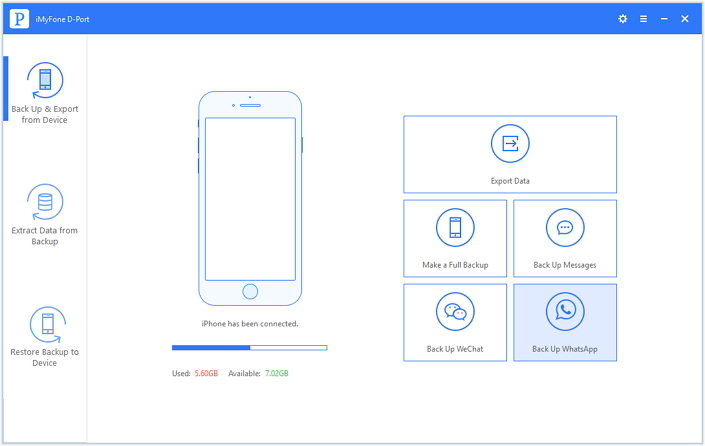 Using this tool you can selectively or entirely backup data of your iPhone and its settings. Moreover, almost 18 plus data types can be exported from your iPhone/iPod Touch/iPad. Even if your iOS device is not with you, you can still get hold of your iCloud and iTunes data using this tool. Apart from that you can also preview the data on your iCloud/iTunes/iMyFone backup file prior to exporting it. Here are the steps to selectively backup your locked iPhone using iMyFone D-Port. Step 1: Install the latest version of iMyFone D-Port software on your computer. Launch it and then connect your iPhone after selecting 'Back Up & Export from Device' option. 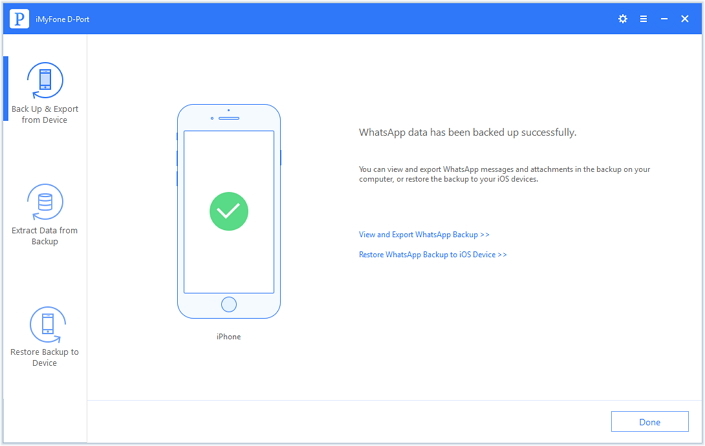 Step 2: Now, tap on the option according to what kind of data you want to backup. Step 3: After that, you can click "Back Up" to confirm your choice. 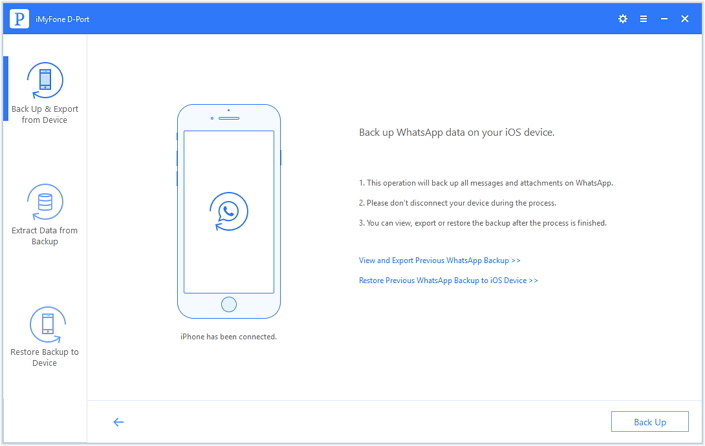 The program will start to backup your WhatsApp messages. Step 4. After a while, you will be notified that the data has been backed up successfully. Note: As the computer is already trusted on the iPhone, you generally won't be prompted unlock your iPhone. Thereby, you saved all your data on the locked iPhone without the password. 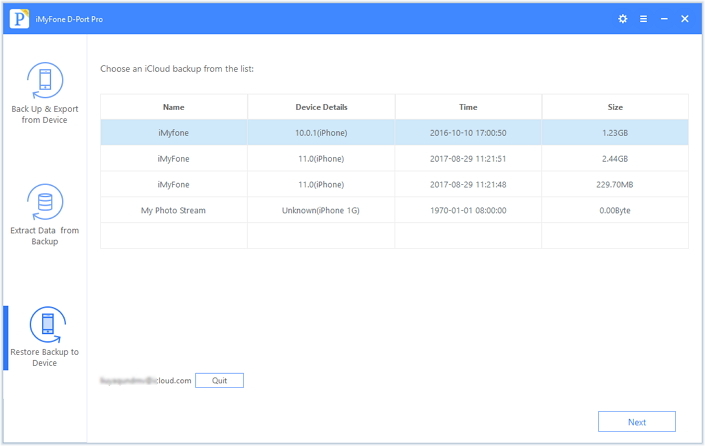 If You have never trusted a computer before or iTunes cannot backup your data on the locked iPhone, you can use iMyFone D-Port to view or export your data from iCloud or iTunes backup. 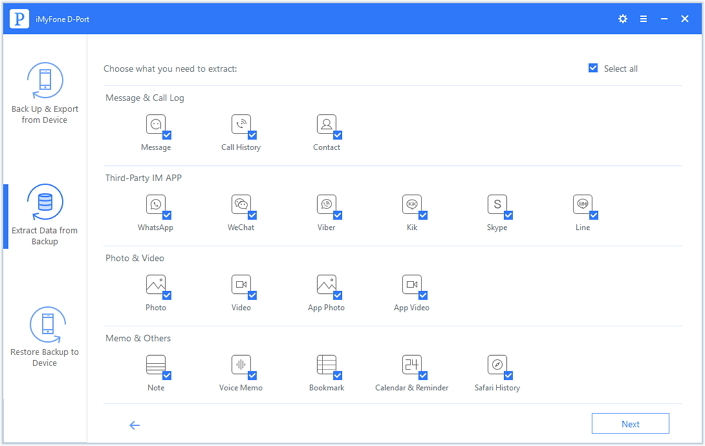 Here is the step-by-step guide to view and extract data from iCloud using iMyFone D-Port. Step 1: After installing and launching the software on a pre-trusted computer connect your device. Select 'Extract Data from Backup' from the left panel. The list of backup files will be visible there. In case you can't find the desired backup file, hit the 'Download iCloud Backup' link on that page. Step 2: Now, log in to your iCloud account using the same credentials you have used to create the backup file. Pick the desired iCloud backup from the list and then press the 'Next' button. 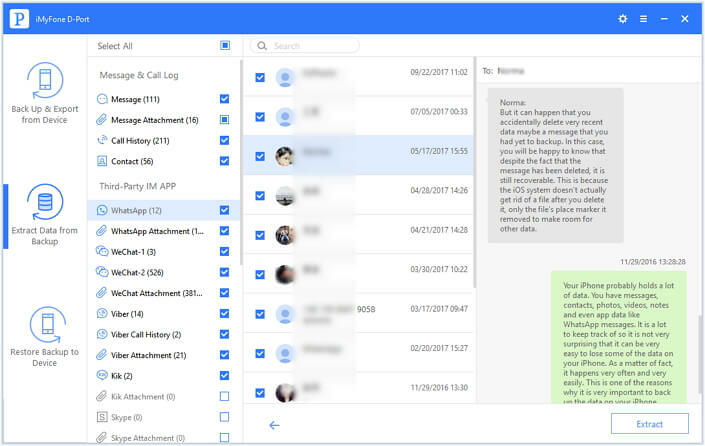 Note: iMyFone doesn't record your data, so don't worry about data leakage. 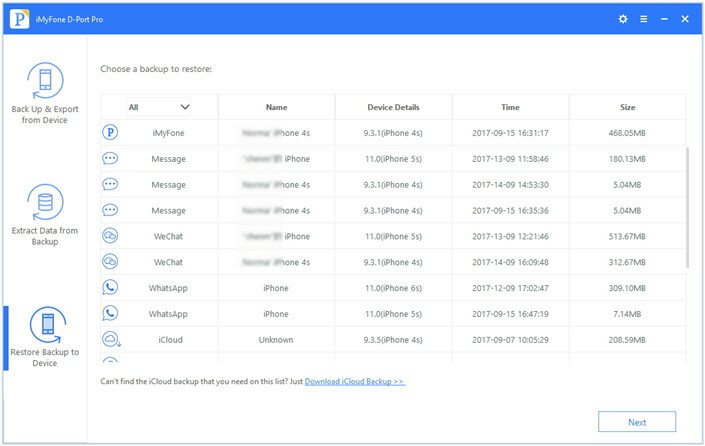 Also, the currently downloaded iCloud backup will be visible in the list of backup files available offline (stored on your computer), when you try to extract data the next time. Step 3: Select the preferred data types from this list and hit on 'Next' to initiate downloading the data from the backup file. Step 4: After the download is complete, preview the data and choose what you want to extract. Hit the 'Extract' button to export the data to your computer. We hope that you've got the answer for your dilemma "how to get into a locked iPhone without the password" and also you have saved your data and fixed your iPhone back to normal.